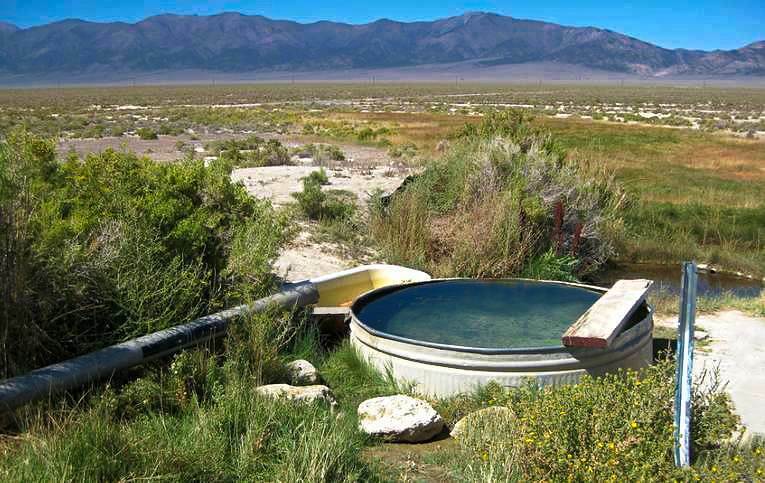 This western state of the United States, Nevada has the highest number of hot springs in the entire country. 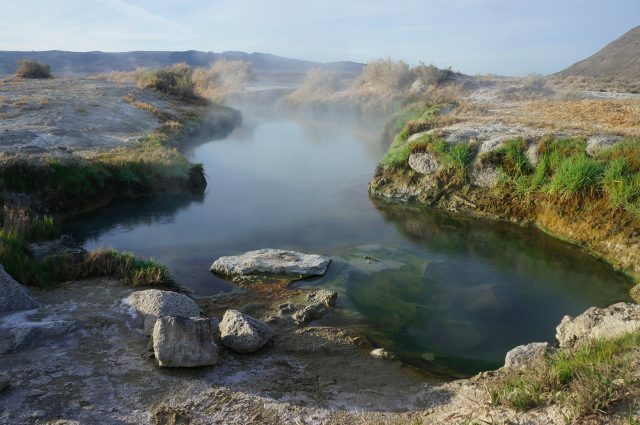 The active geothermal spots are popular amidst tourists for their soothing properties. Some of the hot springs are improvised with human intervention for making them more usable. For example, many resorts and spas are developed around these hot springs to use the sources luxuriously. 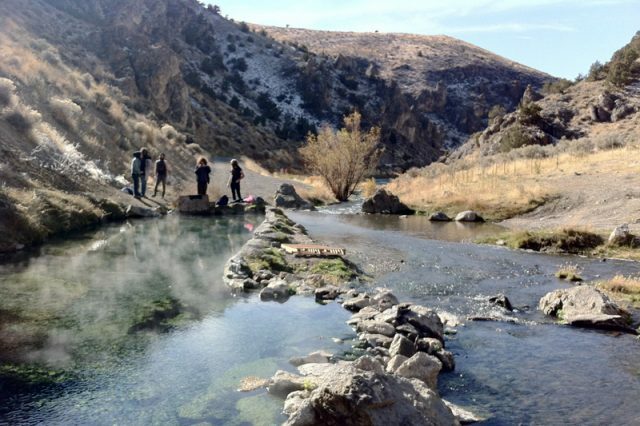 The resort is an example of how the hot springs of the place help the hospitality business thrive. 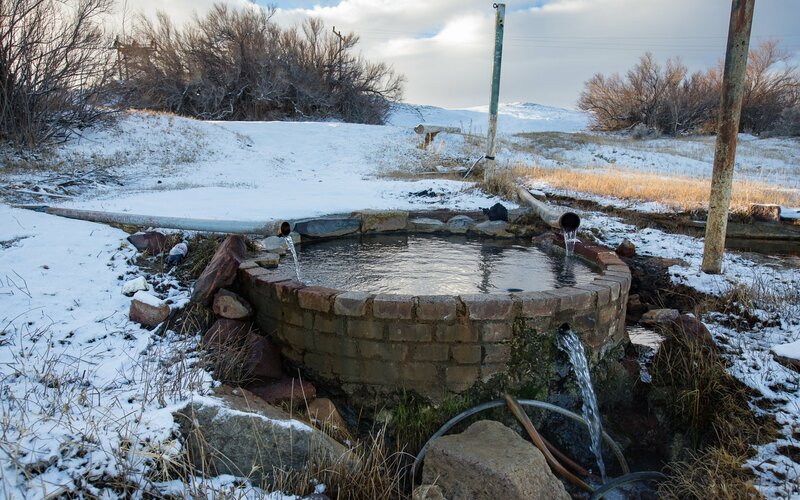 Long before the resort built up, Native Americans utilized the source to heal themselves, but now it is a full-fledged hot spring destination for people. 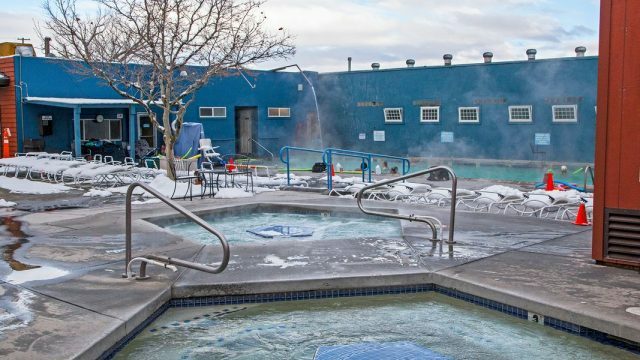 There are 12 spa rooms to be used privately and the best part of the rooms is that the temperature of the water is adjustable between 95°F-110°F. 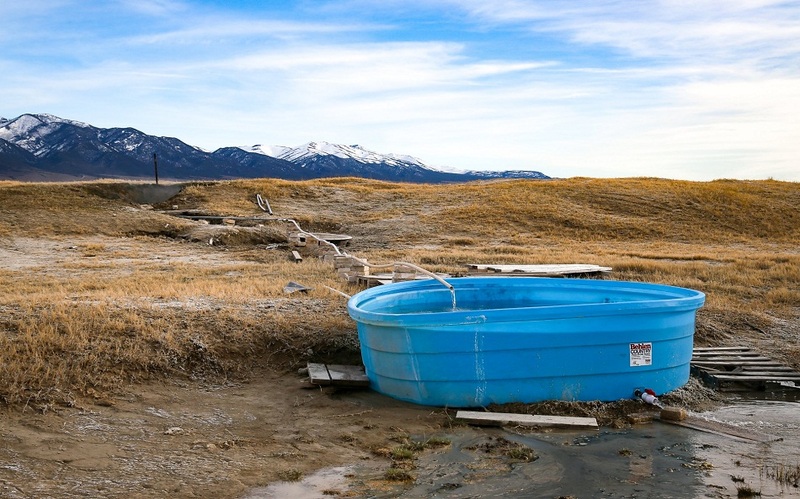 There is an outside pool as well. There are some rental apartments that are only leased on a monthly basis. Check in anytime between 7:00 am-10:00 pm. 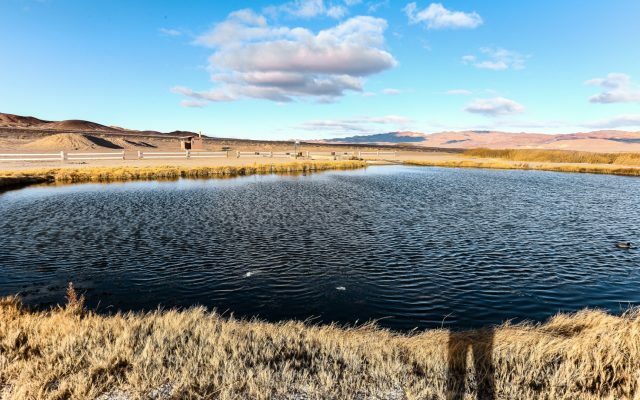 The convenient location of the resort (on the eastern side of Lake Tahoe, and in the capital of Nevada, Carson City) makes it easily accessible from all over the state. 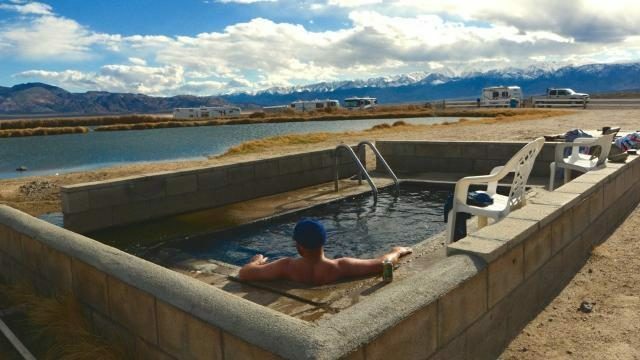 The natural hot springs, being a secluded spot, near the “America’s loneliest highway”, is a popular camping spot as well. The metal tub and an in-ground spring are there for the public to enjoy the desolate view while soaking into the water. 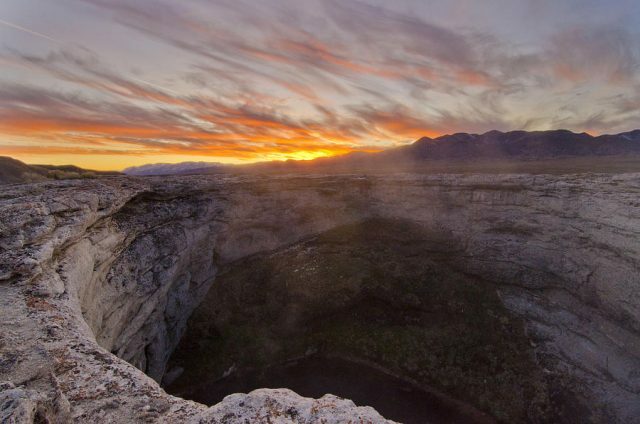 You can head to nearby antique shops in the town of Austin afterward. 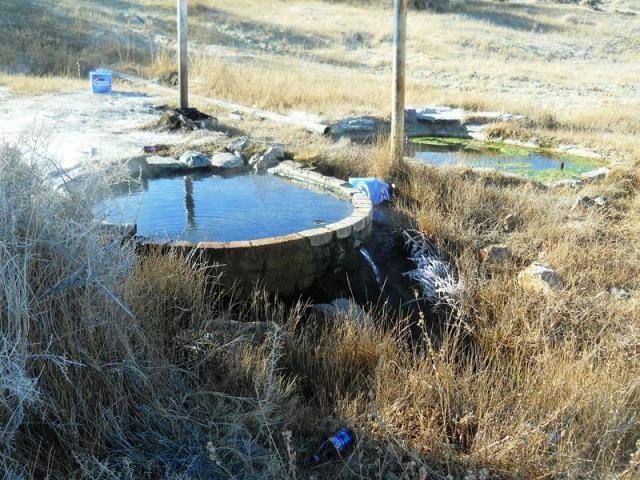 Studded with two overlapping pools, this hot spring is not suitable for bathing due to extremely high temperatures. The small pool is deeper than the large pool and both of them are equally dangerous in terms of bathing. The water flows into an area which is quite marshy and the temperature drops anytime. Be careful while you are exploring the area as the nearby Black Rock Desert is quite a dangerous place to drive on, especially when it is wet. For mud bath and hot water therapy, you can count on the Trego Hot Springs in the Black Rock Desert in Northern Nevada. 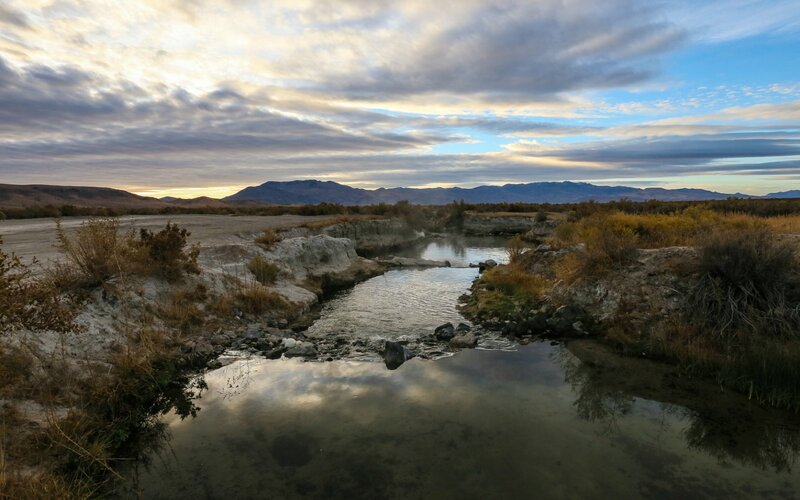 The temperature stays between 90°F-100°F mostly as it is changeable in different seasons. After a long day of mud bathing and soaking into the water, you can camp at night but for that, you have to maintain a distance of minimum 300 ft from the hot spring. You can take your dog or pet to the place but keep them on a leash. 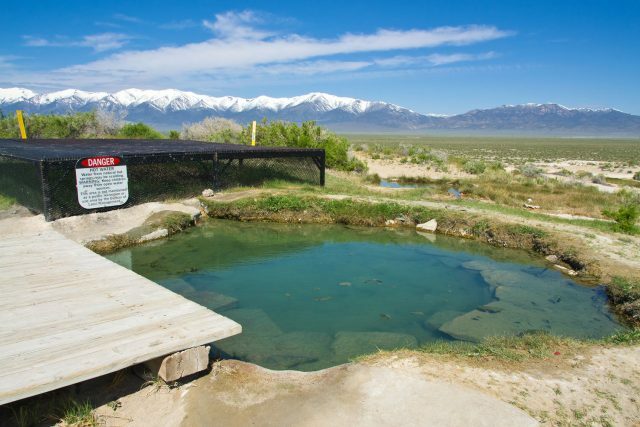 Located in Central Nevada, the hot spring is a well known recreational place for enthusiast people. The remote location ensures your privacy without a glitch. 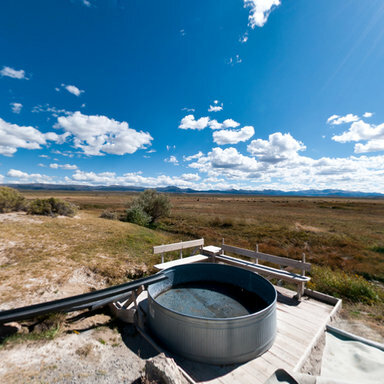 As far as the hot spring is concerned, there are some pipes that carry the water from the spring and pour a tub where multiple people can enjoy the bath together. 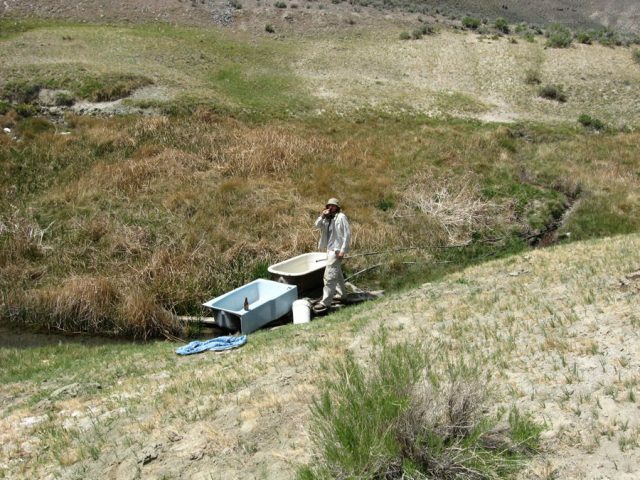 Initially the temperature of the water is around 130°F which cools down to around 100°F. 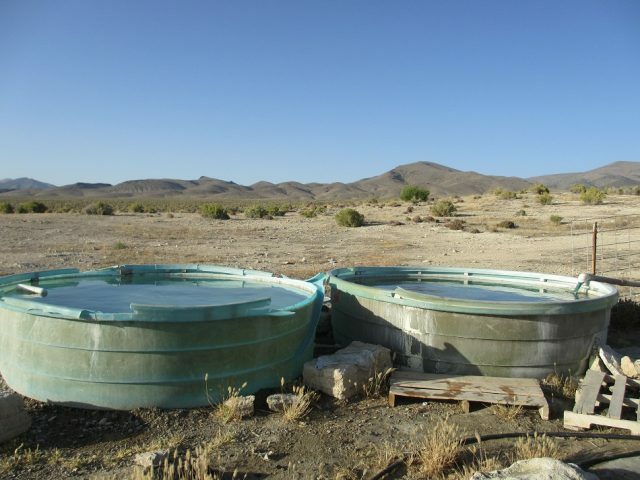 There are two plastic tubs for enjoying the natural springs which used to be a springs resort previously. 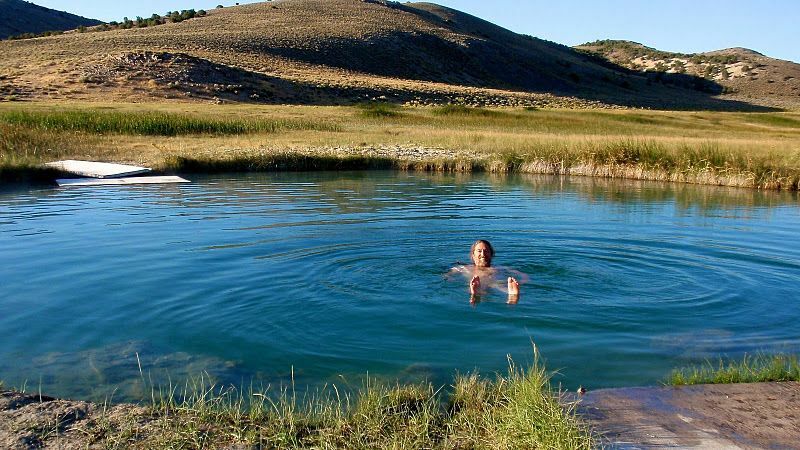 The water here is moderately warm like below 90°F and hence it is more perfect for coming during the warmer months when you will enjoy soaking. 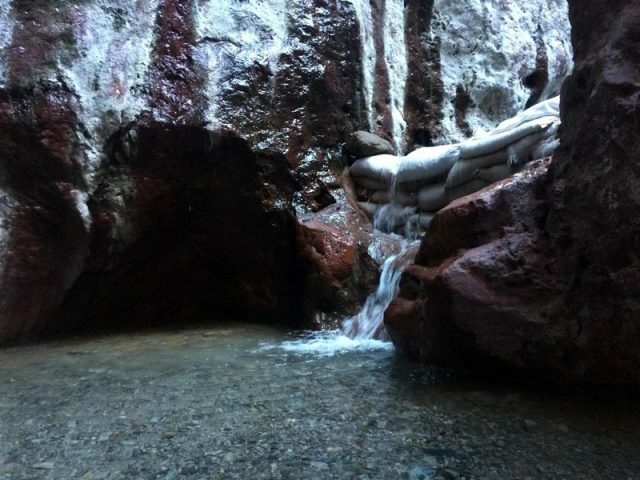 According to some, sulfur smell is quite strong here which makes soaking somewhat difficult. 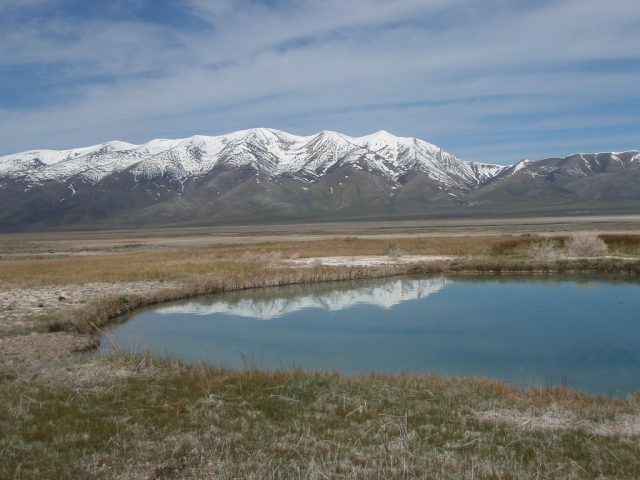 You will have a nice mountainous view of the surrounding. 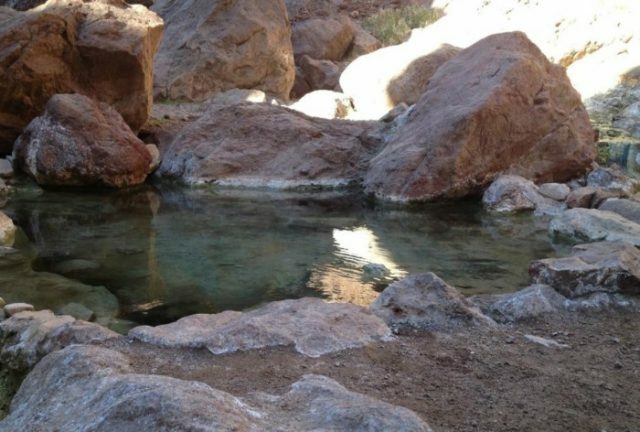 Located close to downtown Vegas, this is actually a hiking trail of Boulder City featuring a hot spring. 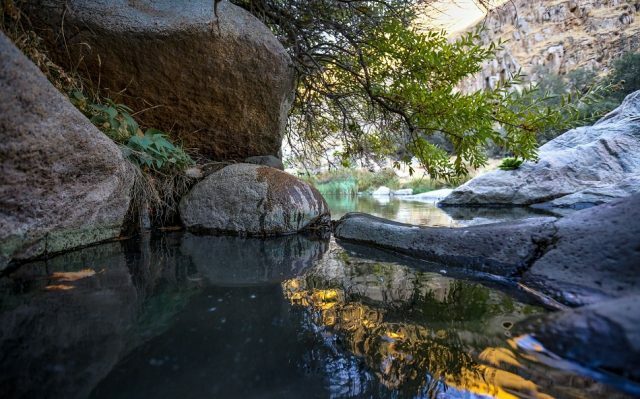 The soothing and rejuvenating water will heal your body and mind and you will be feeling fresh after a long hike. Throughout the entire trek, the canyon walls and the water make a great picturesque scenario altogether. 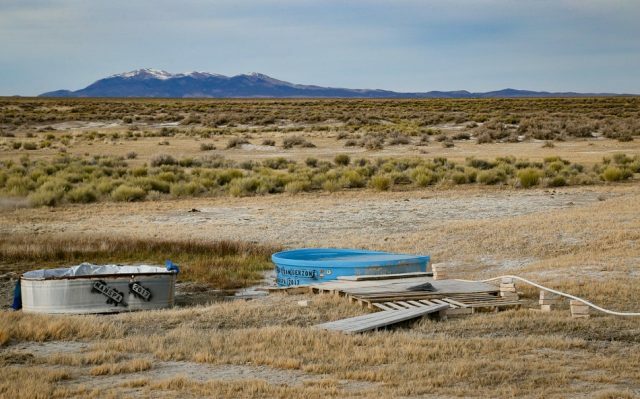 Close to Spencer Hot Springs, this one is on a desert lake bed and has two troughs that get filled from pipes attached to the source. 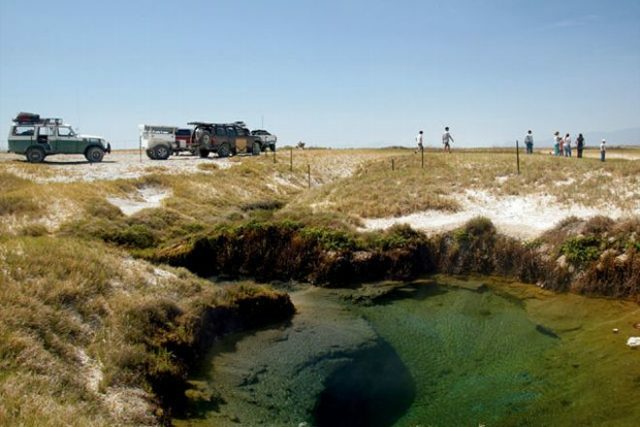 If you are driving then the route can be tricky to drive on, as there are some unmarked dirt roads to reach the spring. 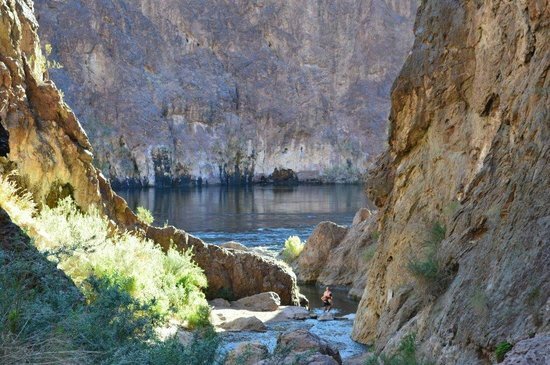 So, if you are up for some rustic solitary adventure then this is the destination for you. 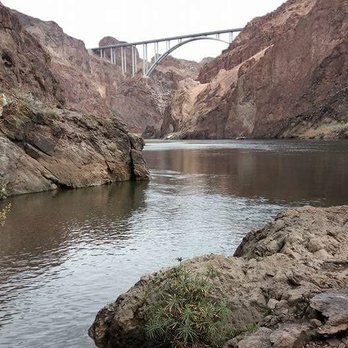 Close to Hoover Dam, the hot spring is mostly covered in a day along with Vegas. 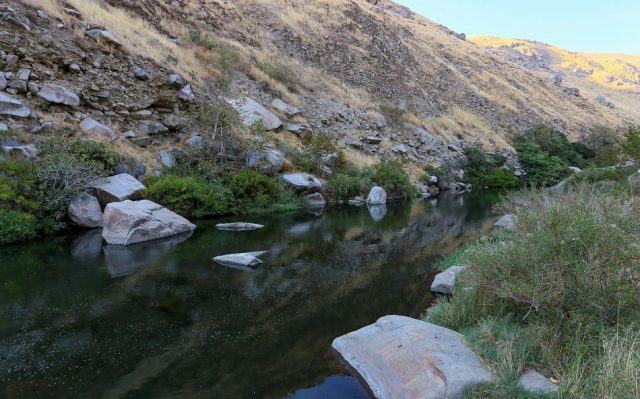 Also, a hiking spot, the entire journey will let you feel the beauty of nature without any fuss. The road can be quite slippery at times, so while hiking, use proper footwear. 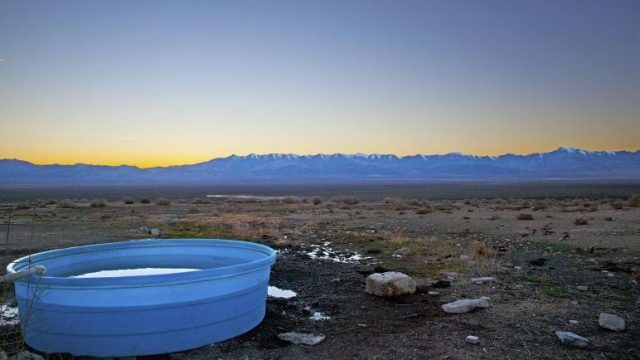 Since the place tends to become crowded due to its closeness to Vegas, for privacy, you can go there at night and soak yourself. 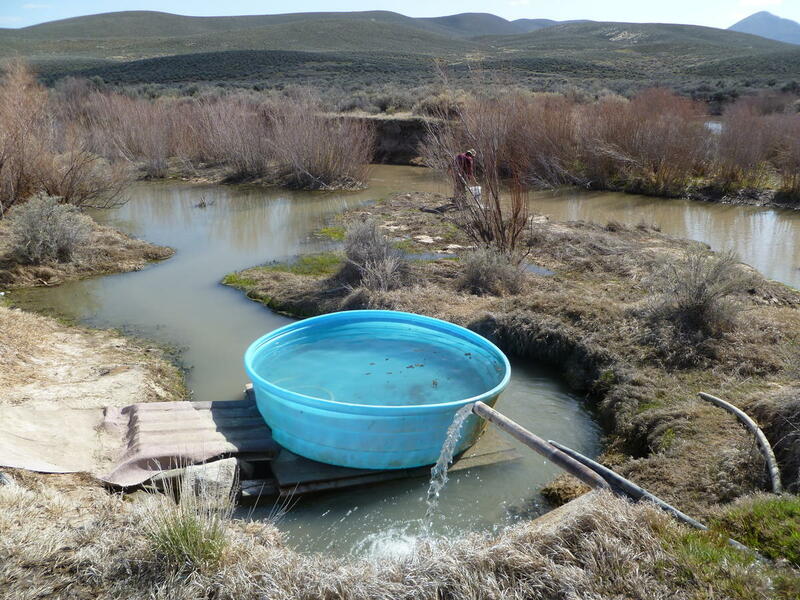 In the western Nevada desert, close to Goldfield, this place has multiple springs to start with. 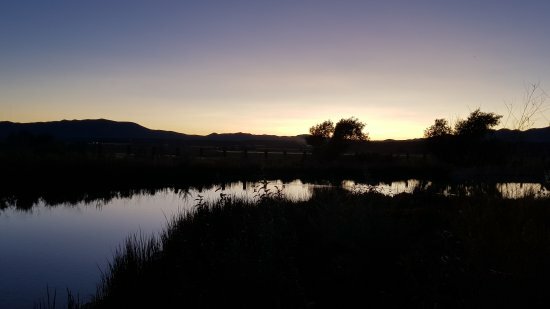 If you are looking for a place where you can relax alone then you must come here. 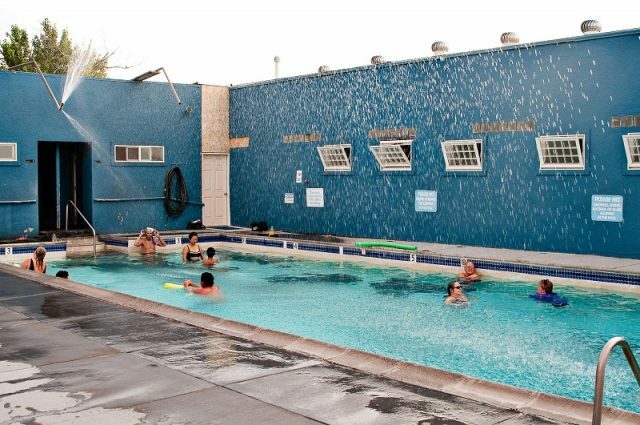 The clothing-optional springs have one pool where the temperature of the water is around 112°F and another pool has around 105°F. On man-made cemented pool is also there. 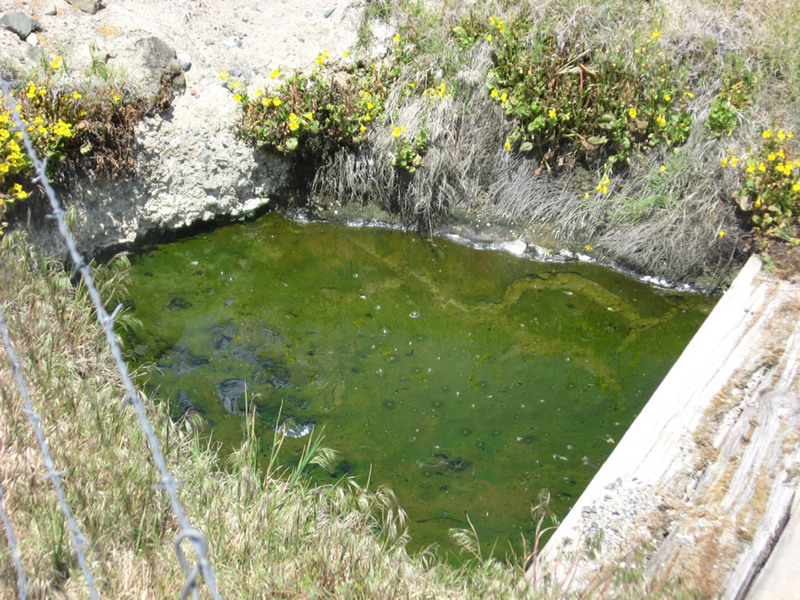 You must look for algae in the steps before you sit on them. 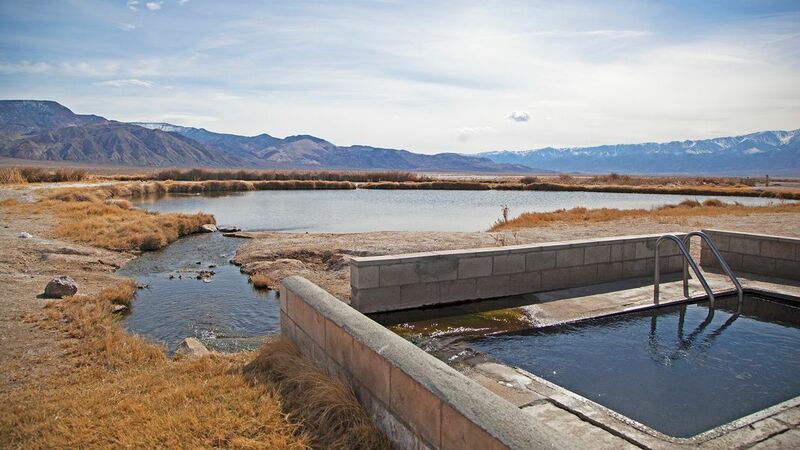 Around 4 pools within the place, the springs on the Northern Nevada Basin, the water is hotter near the source and gets coolers as it streams by. So you have to check your suitable temperature. 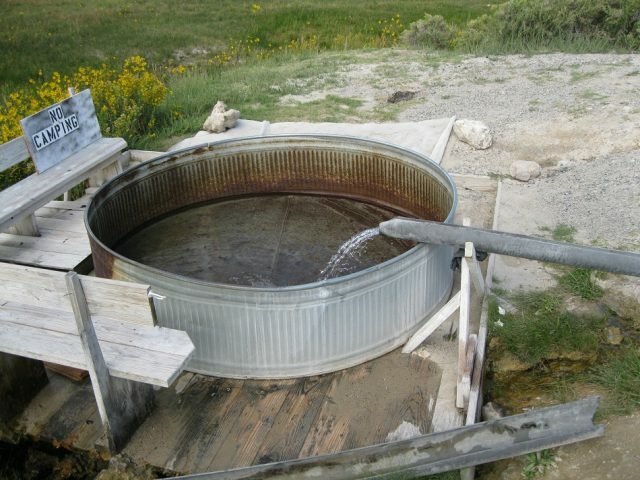 Since this is a primitive spring, you won’t get any amenities of any sort around the place. 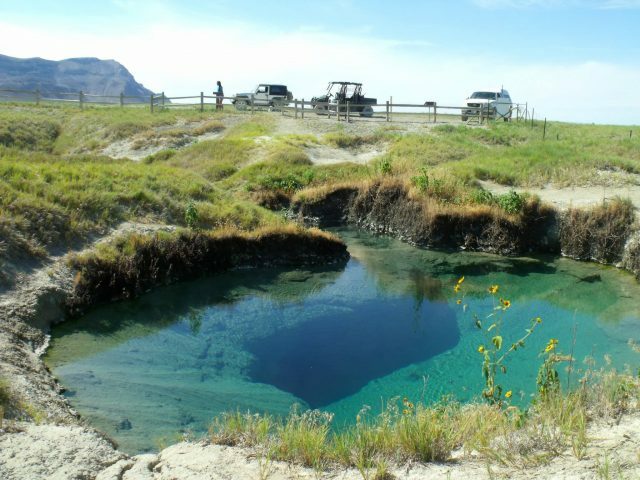 Due to its distance from Wells is 12 miles, the spring has got it another name 12-mile Hot Springs. 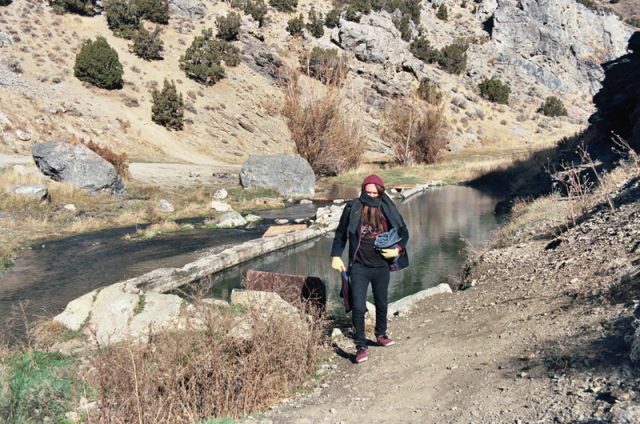 Go there during the winter when the temperature is nearly 37°F and enjoy the warm water. 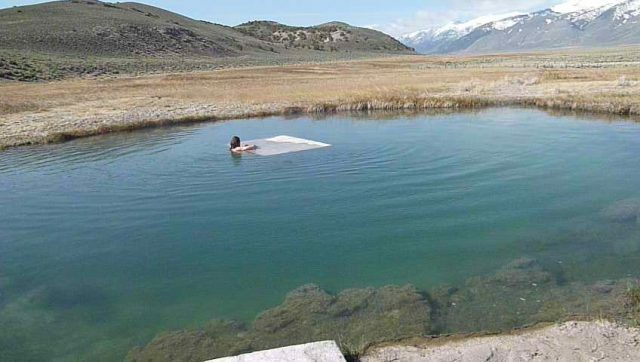 There is a man-made primitive pool with a length of 40 ft and a depth of 3 ft. Reach there by driving as the path is safe and easy to drive on, except some potholes are here and there. A rectangular-shaped pool, manually filled with hot water from a geothermal source, is gaining popularity because of its easy accessibility. 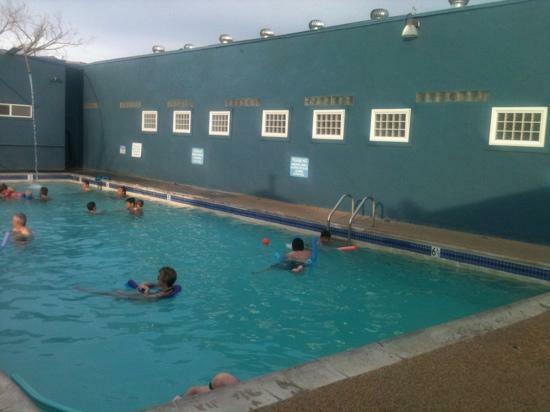 The pool has a depth of 3.5 ft and spacious enough for 7-8 people at a time. 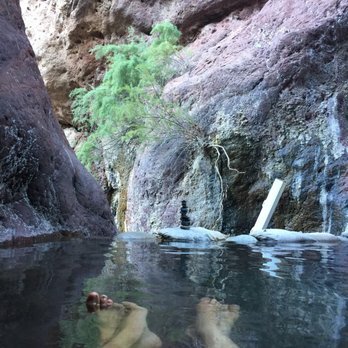 The temperature of the water is around 105°F. 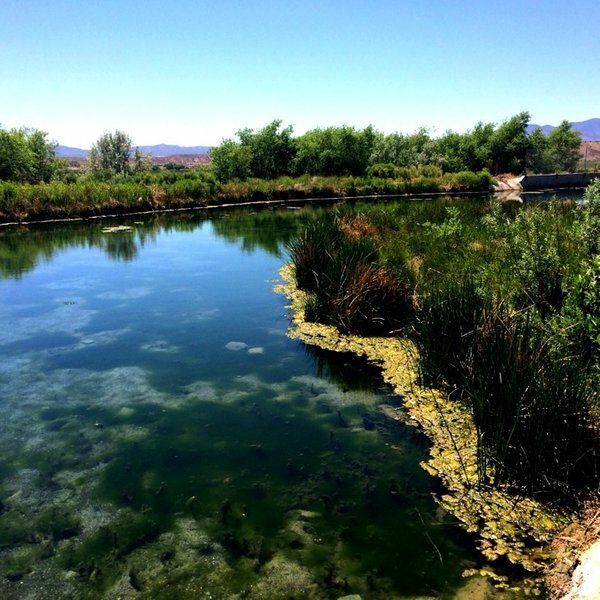 There are some ponds nearby with much cooler temperatures like 92°F and 85°F. 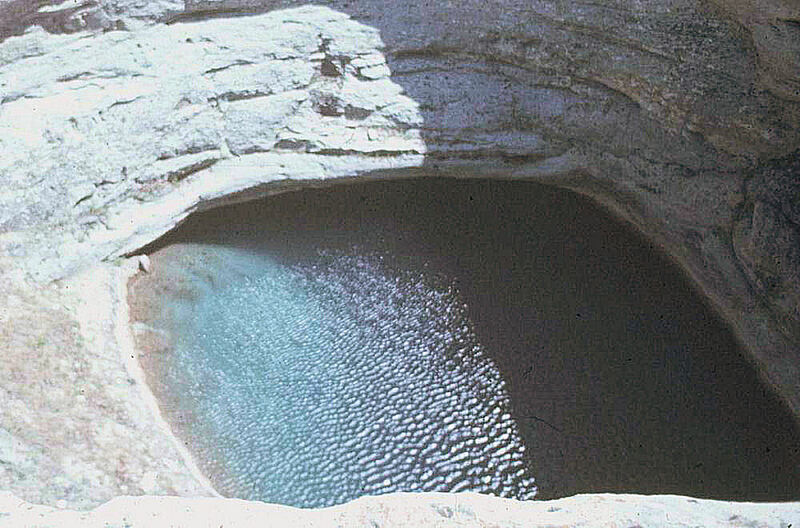 Alternatively known as ‘Devil’s Cauldron’, this is a cup-shaped spring with a high temperature of water. People go here to see the dramatic geological formation, rather than soaking in its water. 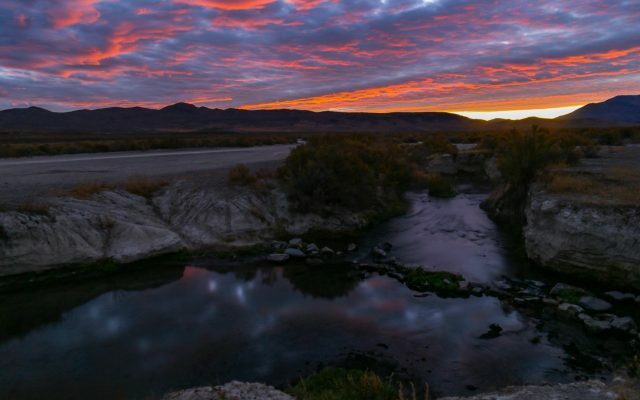 The nearest town with proper water availability is Austin, so make sure you have a car along with you to drive back. 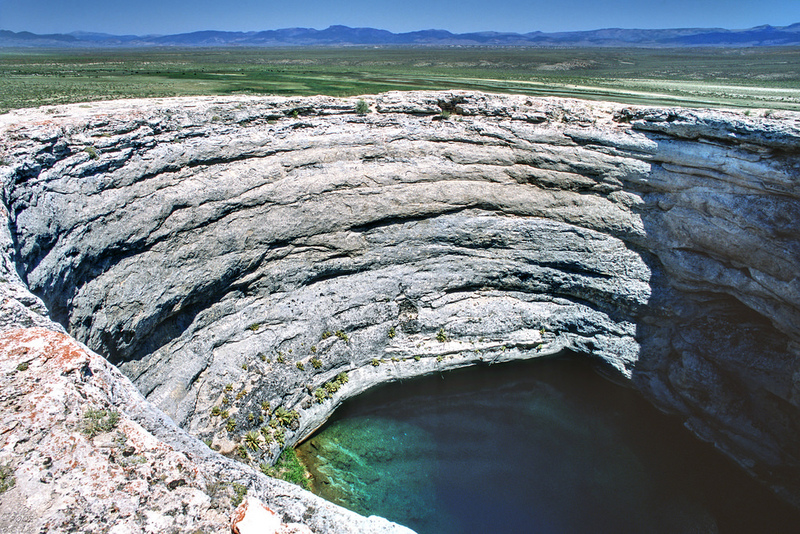 The water spring from the punchbowl has a temperature of nearly 100°F. 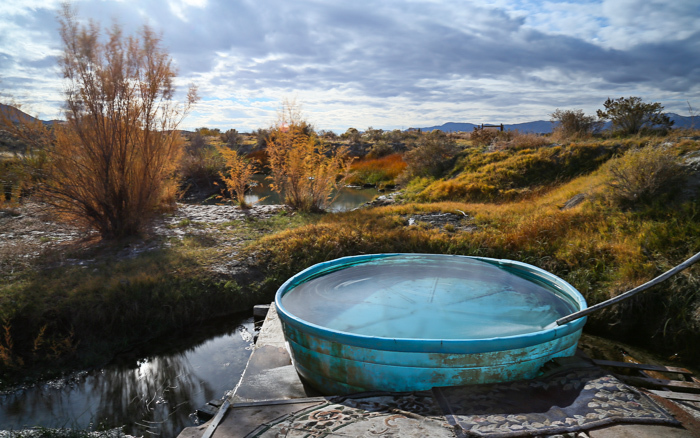 Nestled outside Denio, the hot springs are usable through some pipes to carry the water and fill tubs. 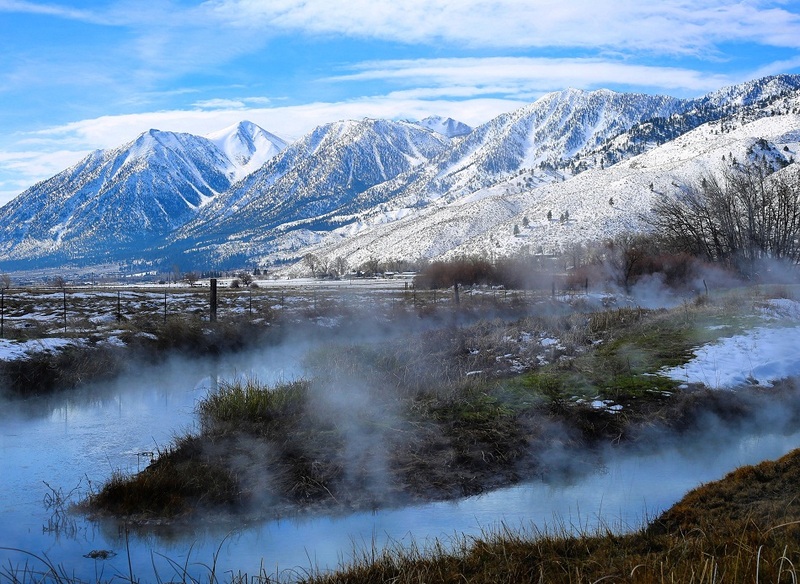 The temperature of the hot water is around 110°F and around 100°F when it is moderately warm. 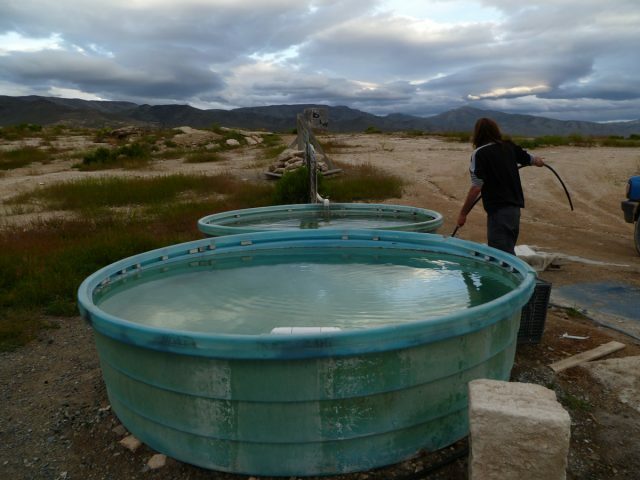 After you fill in the tub, just wait for an hour to soak yourself and when you are done, make sure the tub is empty as algae can form otherwise. Many people go there for a night-time soaking experience. 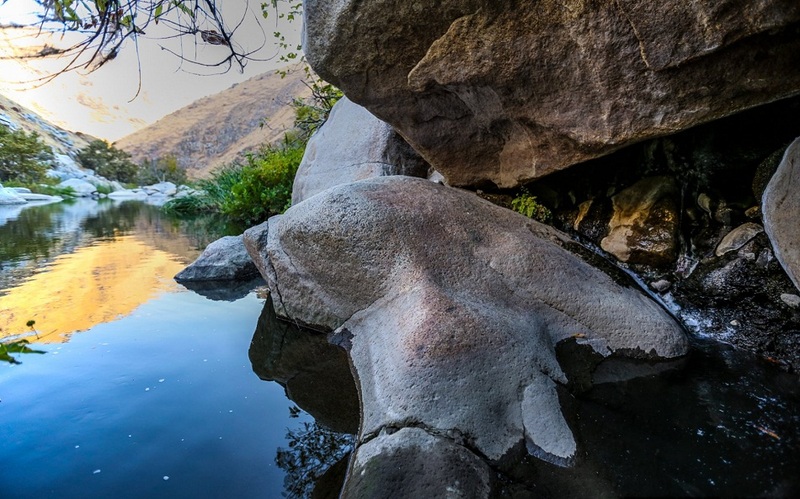 A secluded spring, located on the Kern River, is known for its alluring beauty. 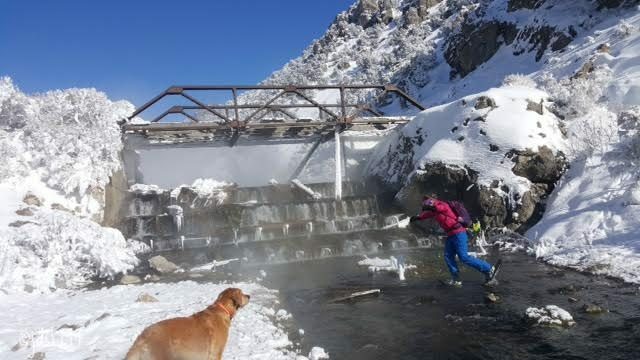 But, it is not possible to reach there without crossing the river and the latter has been very tricky and dangerous at times. 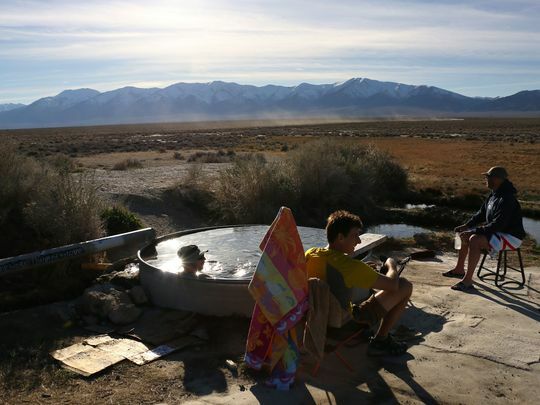 The hot pool is spacious enough for 4-5 people. The pool is filled with a small hot waterfall and has a temperature of around 103°F. 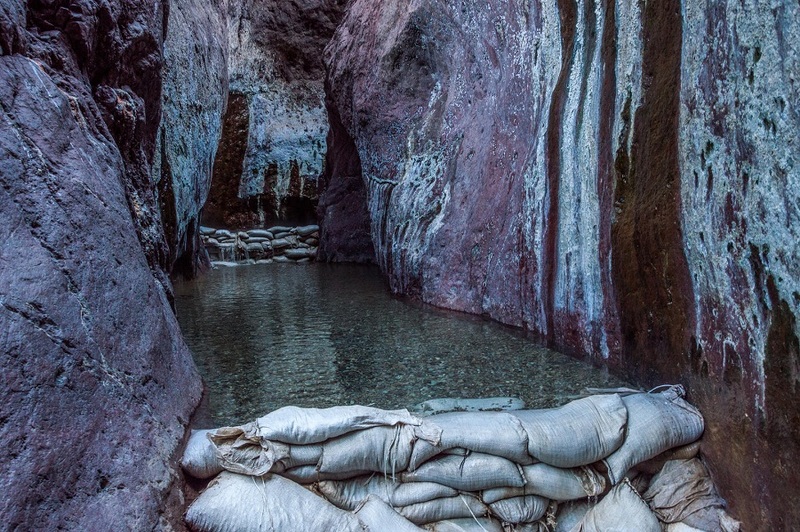 It is better to go there during the end of the summer season. 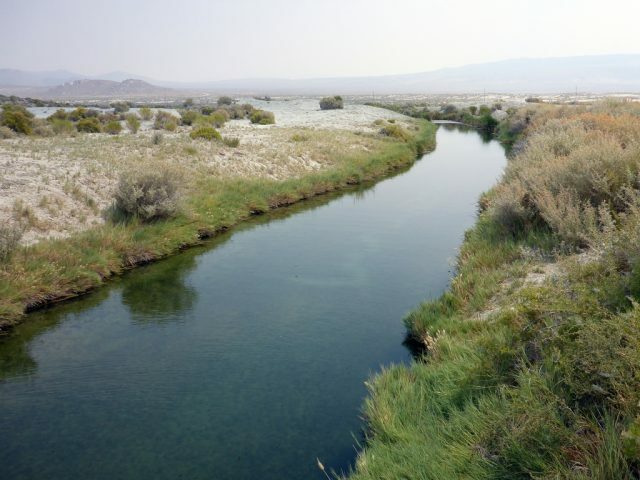 With a private ownership, the spring has warm waters not too deep. 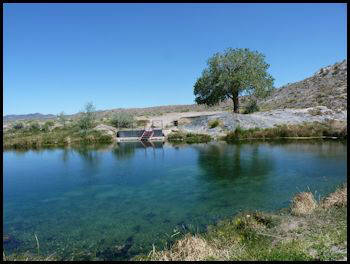 While you are on a family trip, you can visit here and have a little splash in the clean and clear water. The scenario is enjoyable as well and so is the driving path. 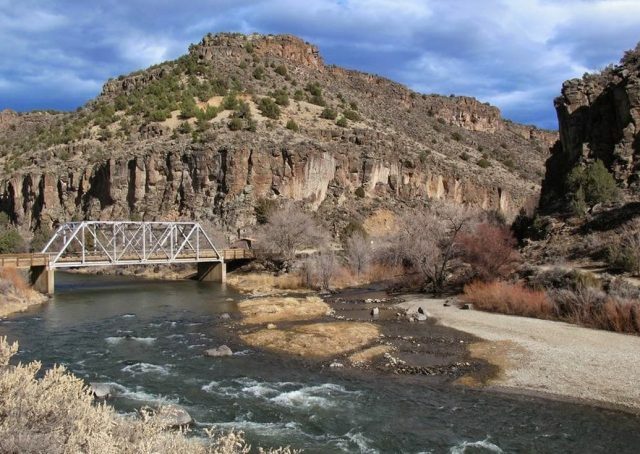 You will have no problem getting here as the roads are conspicuous along with the directions. 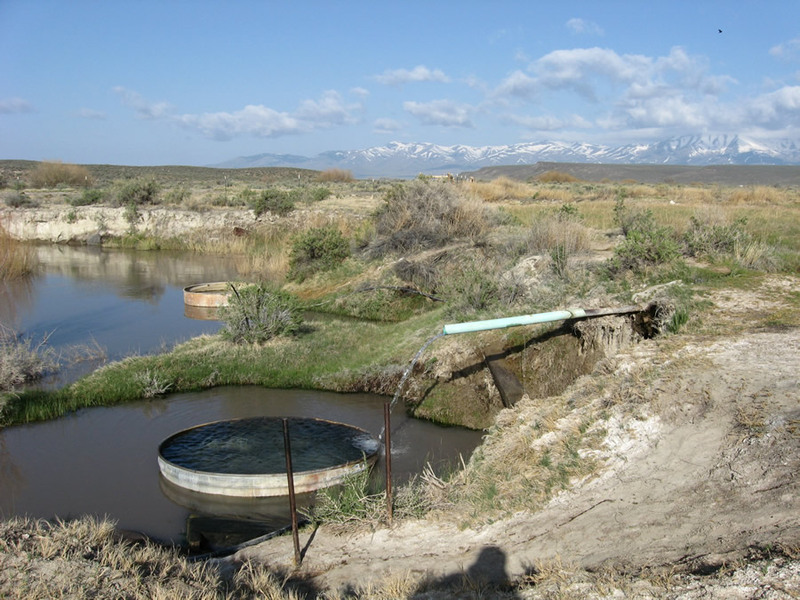 Near the town of the same name, the spring water is filled inside a cattle trough and used by people. 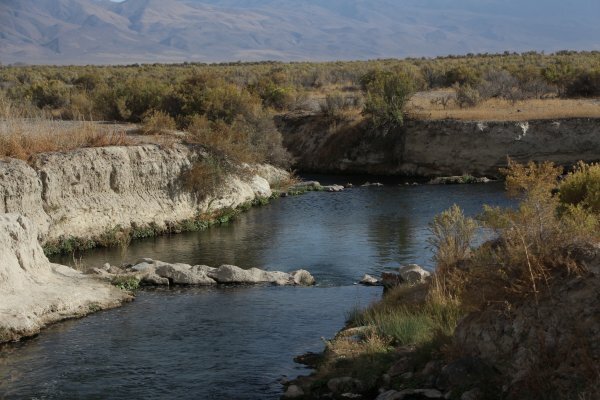 It is on the Little Humboldt River and is accessible throughout the year. 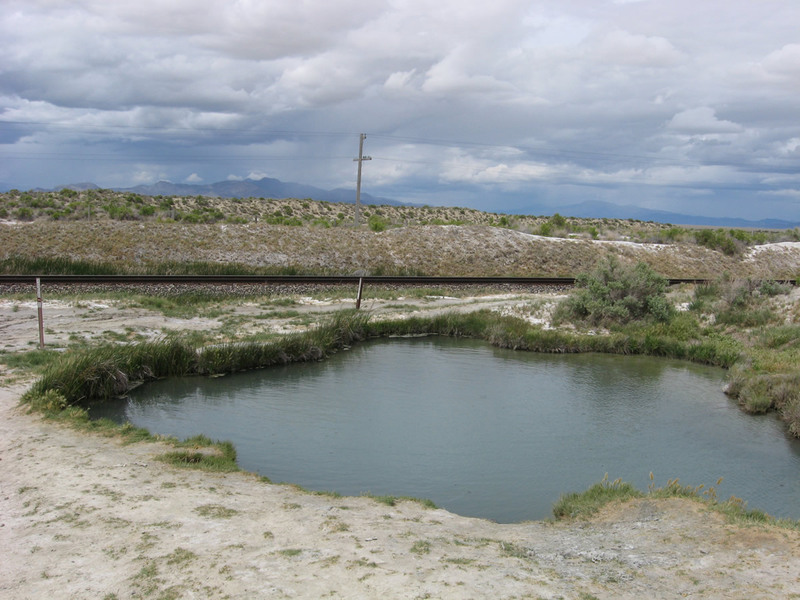 Since the temperature of the source of the water is quite hot like 130°F, you should keep your distance from it. 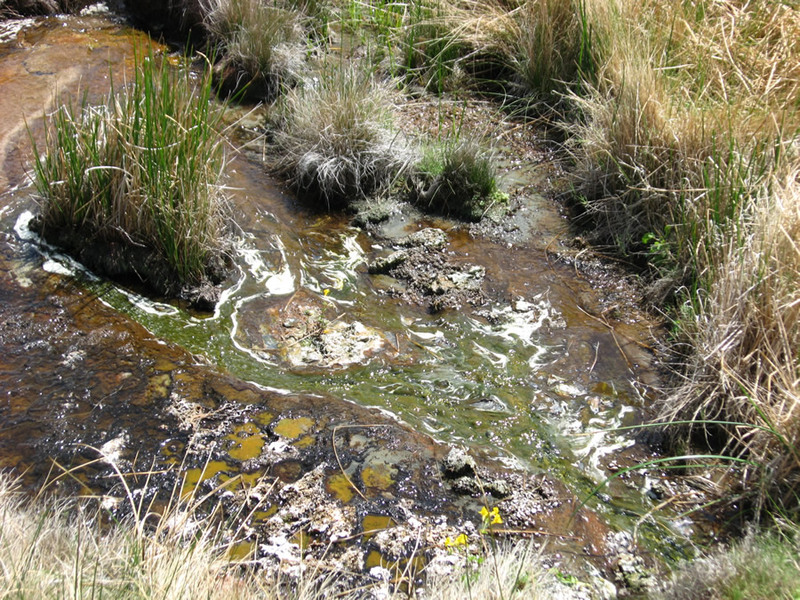 You should be careful about not to litter the place and cleaning after you are done soaking. Just one hour drive from Elko, the hot springs is of a primitive sort, meaning you are unlikely to get any amenities and facilities. 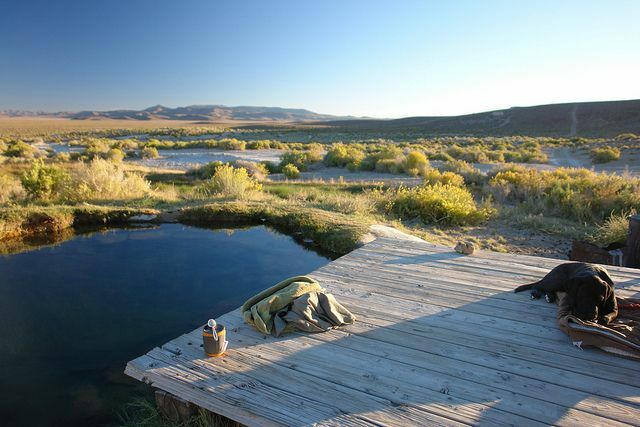 As the place tends to b muddy, there are some wooden platforms where you can relax and tan yourself under the sun. Reaching here is not a problem as you will have clear directions along the way. There is still something that couldn’t be described but they are equally nice and important. 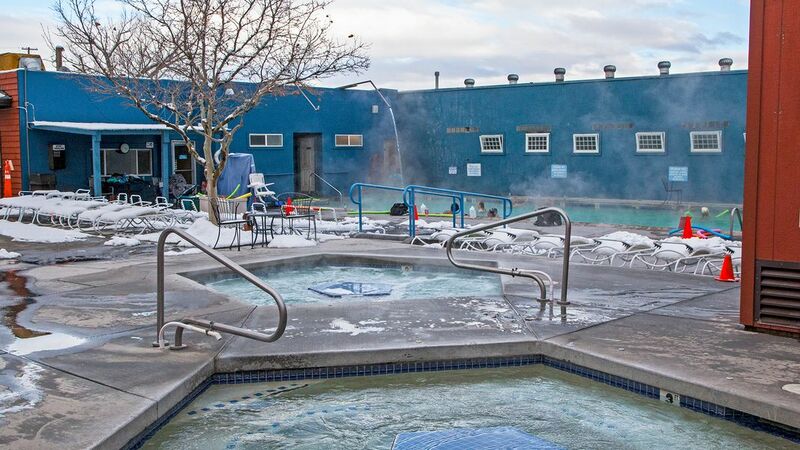 Those hot springs are -Steamboat Hot Springs near Reno, Bailey’s Hot Springs RV Park, Bartine Hot Springs, Big Warm Springs Duckwater, Cherry Creek Hot Springs, Golconda Hot springs, jackpot, Hot Spring Spas Hot Tubs & Swim Spas Lake Tahoe.